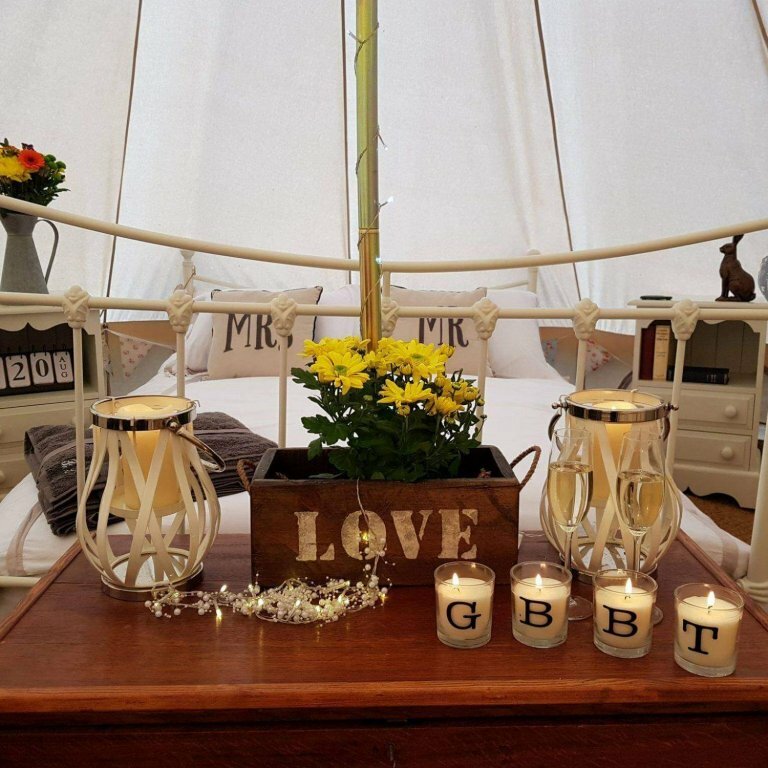 We are experts in luxury Bell Tent Honeymoon Suites and pop up wedding party accommodation to compliment the style of any wedding. We offer a fully bespoke service from start to finish, incorporating all the finer details of your wedding such as colour themes, lighting, sleeping arrangements, and more. From elegant, to quirky, to kitsch, we have got you and your bridal party covered, literally. Why choose a Bell Tent? 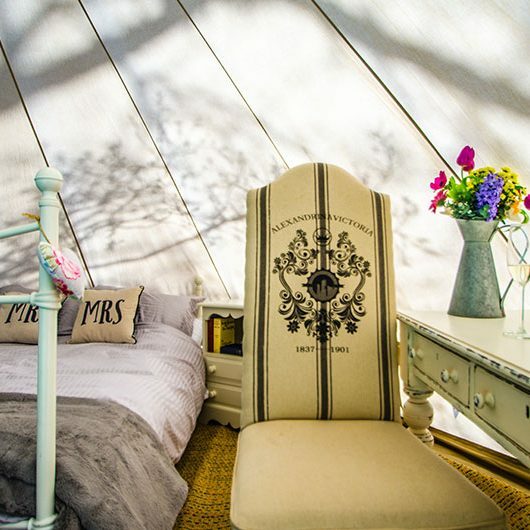 With the rising popularity of festival weddings, glamping has become the perfect option for your big day. 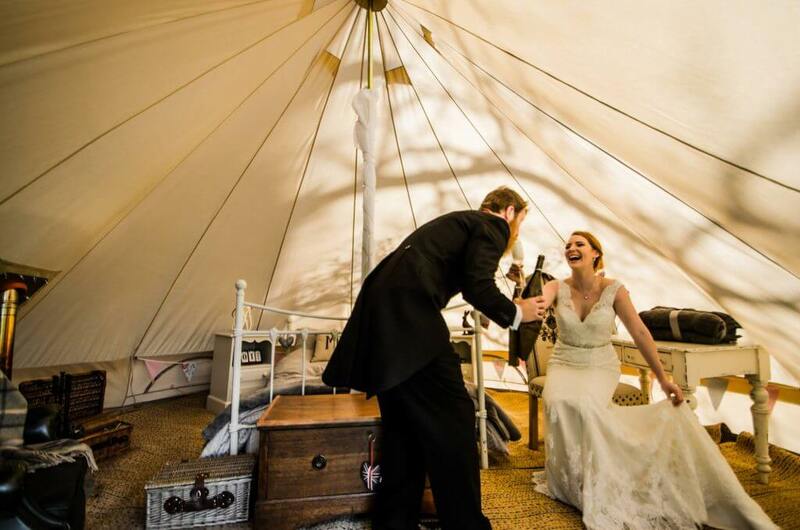 Not only are Bell Tents an affordable accommodation alternative to hotels for you and your party guests, the bridal party stays together for the celebration – meaning the festivities do not have to end! Spending the night in our Honeymoon Suite is the perfect way to start your lives together. 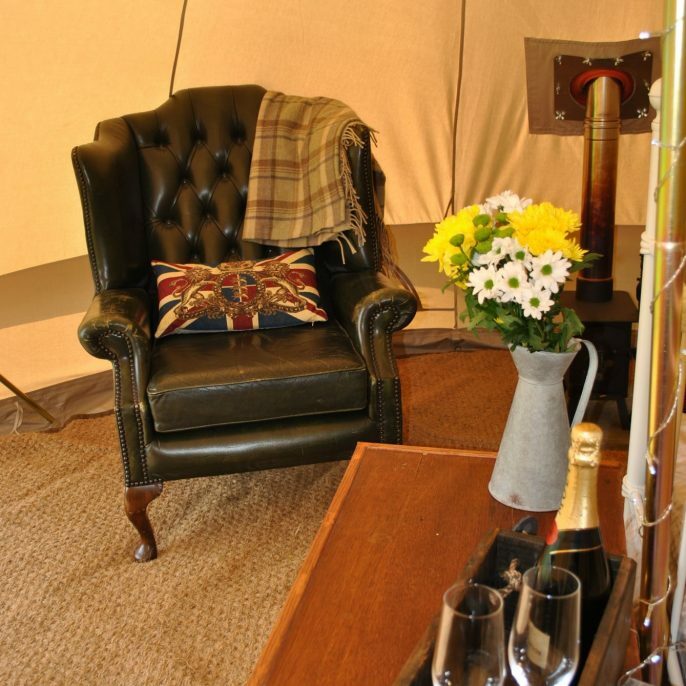 Our five star luxury tent puts the decadence in the detail, for a truly memorable experience. We are perfectionists at GBBT, and we know that anything less than perfect is not an option for the bride and groom. Our luxurious honeymoon suite is exclusively packaged to reflect your unique style and nature of your wedding. We offer a wide variety of wedding Bell Tents, fully furnished with all the luxuries that your wedding guests would expect. 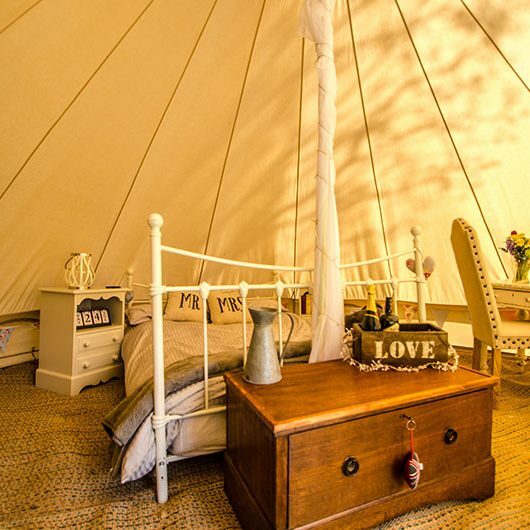 Our Bell Tents are the perfect way to complete your wedding package with luxury accommodation onsite for your family and friends, wherever you choose to have it. We cater to a range of party sizes, from families to large groups, and all our wedding accommodation comes beautifully decorated for that special touch. If you have any of your own ideas for an alternative use for a Bell Tent, get in contact and we will be happy to help.